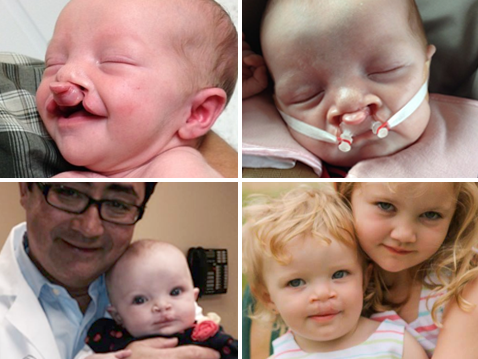 Specialized care for kids and teens with cleft lip and palate, facial trauma and craniofacial syndromes. 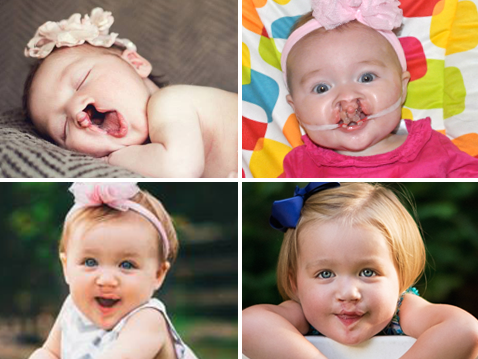 At Children’s Healthcare of Atlanta Center for Cleft and Craniofacial Disorders, we evaluate and treat craniofacial (head and face) conditions in children from birth to age 21. Children may be born with craniofacial birth defects or may develop a condition through injury or disease. Our highly skilled doctors and staff are dedicated to your child’s comfort, safety and outcomes. Children are not just small adults, and that’s why we use specialized child-friendly techniques and equipment to provide the right care for your child. See before and after photos of some of our amazing patients. The Children’s Center for Cleft and Craniofacial Disorders is one of the most comprehensive programs of its kind in the Southeast region. We identify craniofacial conditions and treat them using surgery, therapy and rehabilitation. At Children’s, our pediatric plastic surgeons provide care for approximately 150 new cleft lip and palate cases each year. 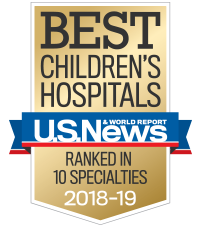 We are one of only a few pediatric hospitals in the Southeast to offer this unique multispecialty approach. Our highly skilled and experienced surgeons can help your child gain function and a more typical appearance. Multiple surgeries are usually required and are planned to occur with your child’s facial growth. Some of the surgeries will be done when your child is very young and some when your child is older and more developed. For more information or to schedule an appointment, call 404-785-KIDS (5437). We provide full dental care for children from birth to age 21 who have craniofacial disorders and other medical conditions. Our team works together with many different departments at Children’s to serve all of your child’s dental needs. We offer everything from cleanings to complex dental surgeries. To schedule an appointment, call 404-785-2072. We provide evaluation and surgical treatment for children with abnormalities in their head, face or mouth. Our oral and maxillofacial pediatric surgeons work closely with dentists, orthodontists and other members of the Children’s craniofacial team. We offer outpatient, inpatient and short-stay services. We provide orthodontic diagnosis and treatment planning. Our pediatric orthodontists work closely with other members of the Children’s craniofacial team to treat children with dental-facial problems such as jaw deformities, cleft lip and palate and midfacial anomalies. Our pediatric plastic surgeons provide the only service of its kind in a four-state area of the Southeast. Our goal is to help kids and teens with congenital or acquired craniofacial conditions improve their quality of life. We use the appropriate child-sized equipment and techniques to promote safe anesthesia and optimal surgical results. At the Children’s Speech Pathology Laboratory, we diagnose speech problems and work to create a treatment plan to help your child communicate. Once your child’s condition is identified, we’ll refer you to the appropriate specialists who can help with surgery, prosthetics and more. When you bring your child to Children’s Center for Craniofacial Disorders, you can expect leading-edge treatment from a highly skilled team. Mandibular distraction: Mandibular distraction is an option that provides relief from micrognathia (abnormally small jawbone) by opening the airway and improving the child’s ability to eat. A device called a distractor is attached during surgery. The device is later adjusted to gradually lengthen the jawbone. Children’s Center for Craniofacial Disorders pioneered the use of resorbable distractors that eliminate the need for a second surgery to remove the devise. Nasal alveolar molding (NAM): Prior to surgery to repair a cleft lip, some children require orthodontic treatment in order to guide the growth of their mouth in the right direction. 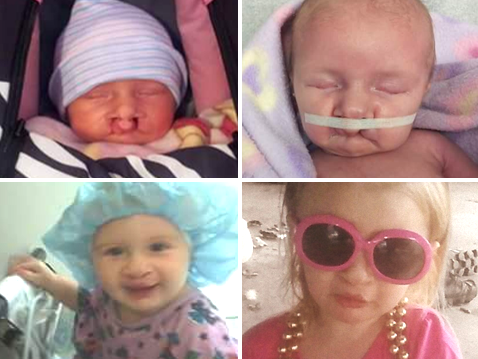 Children’s was among the first craniofacial centers in the country to offer the NAM device. We are the only center in the Southeast to offer this treatment. Bone substitutes (hydroxyapatite cement): Hydroxyapatite cement is a ceramic bone substitute that can be used as a putty to fill cranial (skull) and orbital (eye socket) defects. Endoscopic torticollis treatment: Torticollis (a condition that restricts neck movement) can be corrected using a minimally invasive procedure. Doctors can operate using a small telescope with an attached video camera that is inserted through a tiny incision. Laser treatment of hemangiomas: Children’s is one of very few centers in the nation to offer laser technology to treat hemangiomas (red growth caused by an abnormal collection of blood vessels). We use a combination of lasers to selectively damage the vessels in the hemangioma without damaging the overlying skin. We understand the unique needs of your child, and we partner with you and your family to develop the best possible treatment plan. Our dedication to family-centered care means that you become a partner in your child’s healing. Your child is supported by a collaborative team of pediatric experts, including plastic surgeons, otolaryngologists, orthodontists, dentists and more. At Children’s, we have a rich history of pioneering medical advancements and providing innovative care. We lead developments in technology—such as resorbable bone expanders, and offer specialized techniques you can’t find in most other hospitals—like Nasal alveolar molding (NAM). We are involved in extensive, outcomes-based research and treatment to maximize each child’s quality of life. We understand that having your child diagnosed with a craniofacial disorder can feel overwhelming. That’s why we offer programs to support the physical, emotional, mental and spiritual needs of your whole family. The American Cleft Palate-Craniofacial Association (ACPA) has recognized Children’s Healthcare of Atlanta Center for Cleft and Craniofacial Disorders as an ACPA Approved Team for a period of five years beginning January 1, 2019. Email Bonnie Boerema, M.S.N., C.P.N.P. or call 404-785-KIDS (5437) to make an appointment.